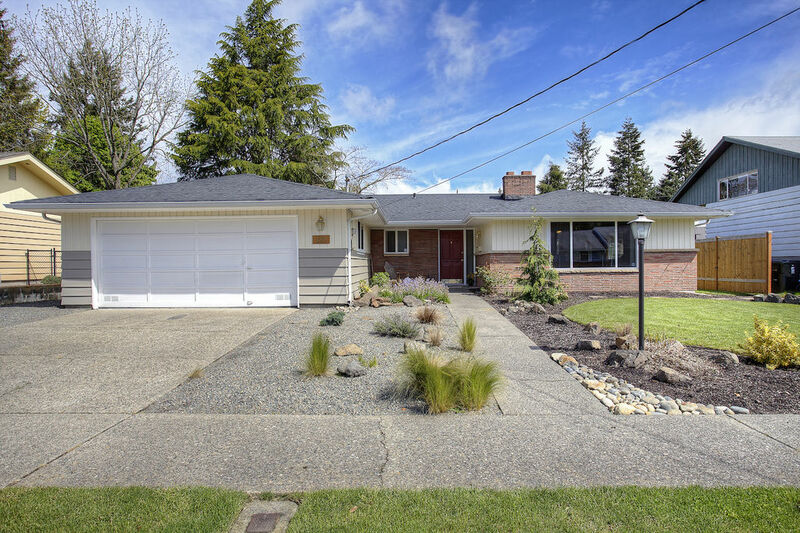 Built in 1963 and showing off classic mid-century style, this move-in ready rambler is tucked away in a convenient North Tacoma location. Featuring a 1,792-square-foot floorplan that includes 3 bedrooms, 2 updated baths, an updated kitchen, and inviting living spaces designed with entertaining in mind, this retreat has been lovingly cared for and maintained over the years! (Plus, it includes a heat pump!) 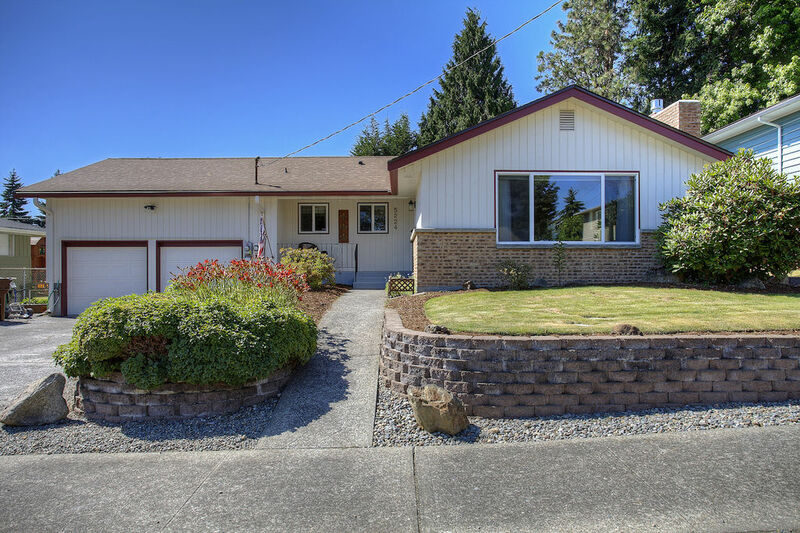 Located at 5224 N 10th St Tacoma WA 98406 and just blocks away from schools, transit options, grocery shopping, restaurants and much more, this residence is listed for $399,000. Showcasing a charming exterior that features neat landscaping and eye-catching brick details, this home’s timeless curb appeal ensures it’s a joy to come home to time and time again! As soon as you step in through the front door, you can breathe a sigh of relief—your home-sweet-home is ready for relaxation and all that life brings. The living room is ready for you to move right in and add your own personal touch, no matter what your decor style may be. Whether you’re snuggled up on the couch with a fire roaring in the fireplace, hosting holiday gatherings, or having guests over for cocktail hour and a dinner party, there’s potential for it all. Natural light pours in through a large window, and lovely refinished hardwoods lead into the adjacent formal dining area. You especially won’t want to miss seeing this home’s fresh and fashionable kitchen that’s been updated to include radiant heat tile flooring (which you’ll also find in the beautifully upgraded baths!). 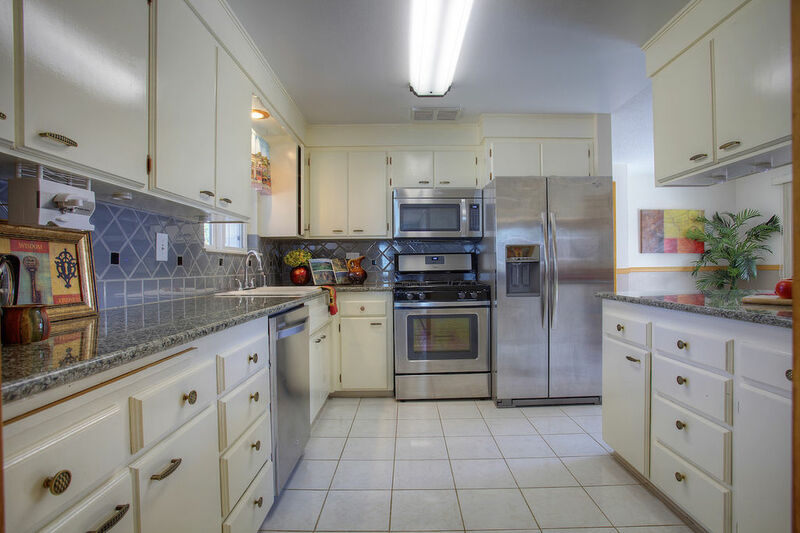 The kitchen features a spacious layout that includes ample counter space and plentiful cabinetry, offering lots of space for storage and meal prep. Sleek appliances add to the efficiency, while the timeless design of the tile backsplash adds an element of elegant flair. Plus, the adjacent dining nook and bar-style counter seating offer a casual spot to enjoy a laid-back meal or snack! From the dining nook and kitchen area, double doors lead directly out into the picturesque backyard (especially a perk if you’re enjoying a meal outside on a sunny day!). Here, a patio and trex deck (with an adjustable cover!) are ready for summers filled with sunbathing in peace and quiet or entertaining to your heart’s content. The beautifully crafted deck features an artistic design at the center, and matching plant beds and a trellis are just waiting for you to put your green thumb to work! Sprinklers provide easy lawn maintenance, and a shed offers a convenient place to store all of your outdoor tools and toys. Another notable feature that the home offers, are solar panels; which provide an annual rebate of over $2,000. When you’re ready to turn in for the day, this home’s 3 large bedrooms, 2 full baths, and upstairs bonus room are all brimming with stylish comfort and top-notch amenities. In the baths, contemporary design includes spa-inspired finishes to enjoy. 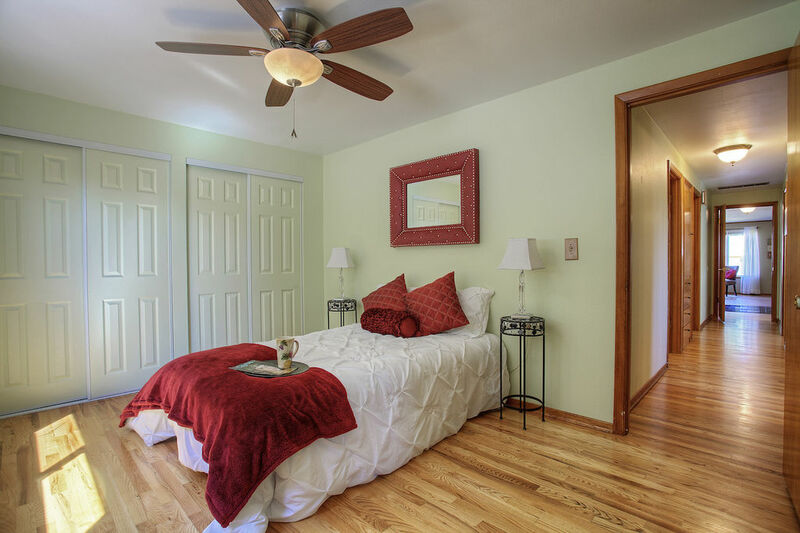 And, like this home’s 3 bedrooms, the upstairs bonus room is brimming with versatility! Whether you change this space into a play room, hobby space, office, fitness center or den, you can be sure that this residence has enough room to make your dream vision of home become a reality. At 5224 N 10th St Tacoma WA 98406, enjoy having a long list of excellent Tacoma conveniences at your fingertips! Schools, parks, transit options, restaurants, grocery stores, shopping, and much more are all just minutes away. 6th Ave is just a few blocks from home, making it easy to take advantage of nearby places like Tacoma Boys, Sonic Drive-In, Safeway, Grocery Outlet, LA Fitness, and so much more! Plus, getting around the area is easy—a bus line is right on 6th Ave, and Highway 16 is just a 2-minute drive from home. Showcasing fabulous mid-century style alongside top-notch modern updates, this North End rambler is a delight through and through! Featuring thoughtful upgrades (like a new kitchen, new roof, new windows and millwork!) that the modern homebuyer will love, this not-to-miss property features a move-in ready 1,430-square-foot home and a beautiful yard with low maintenance landscaping. 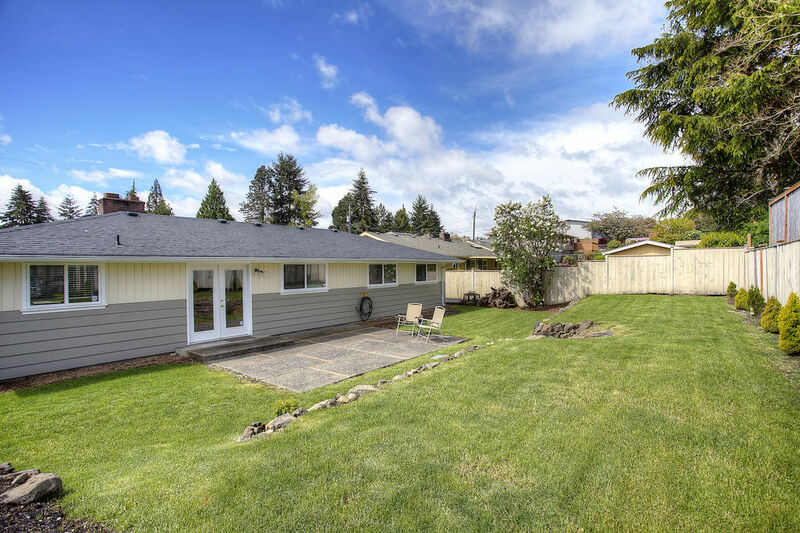 Plus, at 5219 N 10th St Tacoma, WA 98406, this home is in the highly desired North End of Tacoma and close to the 6th Ave District, the Proctor District, schools, Highway 16, and much more! This 3-bedroom, 1.75-bath residence is listed for $349,000. Take advantage of easy one-level living with this 1962-built gem! As soon as you step inside, the spacious living room awaits. 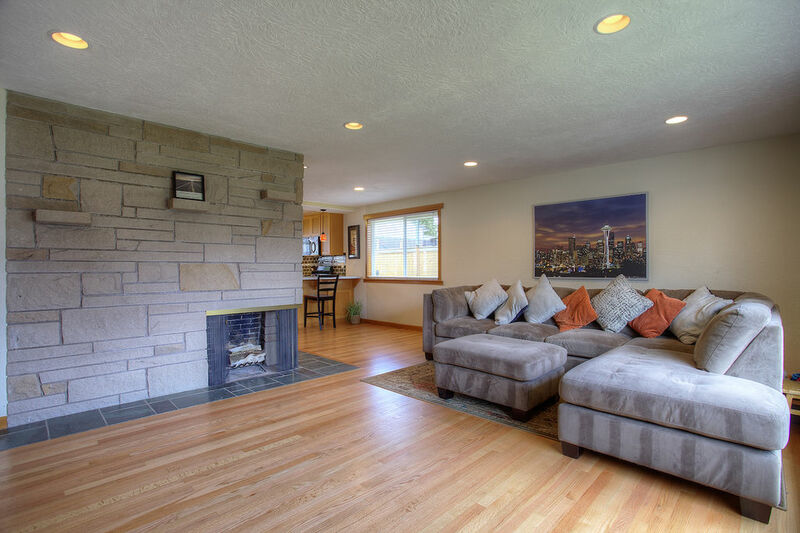 Featuring refinished hardwoods and a floor-to-ceiling stone-accented fireplace, this light-filled hangout offers the ideal spot to kick back and relax or host guests! The open-concept layout flows right into the new kitchen and sunny dining nook, a haven of convenience and efficiency. 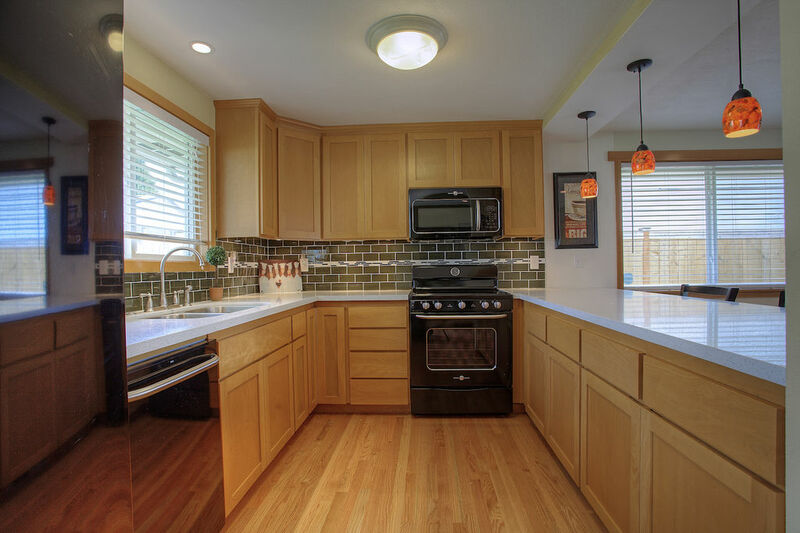 Enjoy custom cabinets that offer tons of storage, shimmering quartz counters, new appliances, and even an eat-in bar. Eye-catching light fixtures add a touch of modern flair, and a built-in wine rack is ready for happy hour! This home’s inviting 3 bedrooms offer loved ones privacy, and each retreat features hardwood floors and neutral color palettes that are just waiting for your personal touch! Have an extra bedroom? Transform it into an office, fitness center, or hobby room! 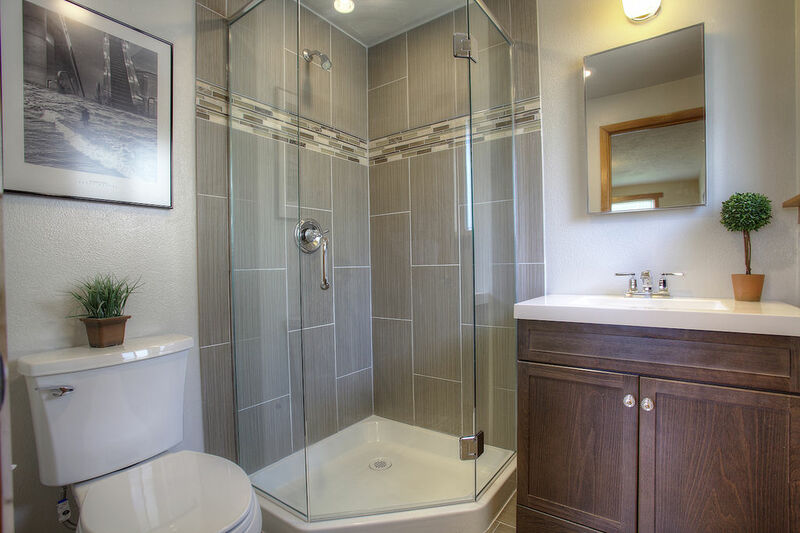 The master suite is especially lovely—discover a fabulous walk-in closet and a new, beautifully remodeled ¾ bath that shows off custom tile work and stylish modern finishes. 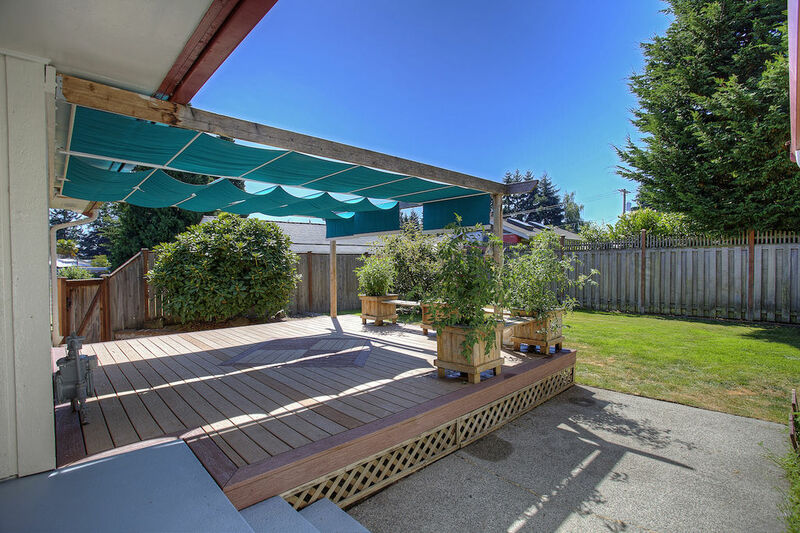 Discover even more versatile space in this home’s immaculately maintained backyard. If you enjoy spending time outside but would prefer a low-maintenance yard, this residence is truly ideal! For those who dream of gardening or cultivating a vegetable garden, there’s plenty of room for vibrant beds of flowers. A patio is ready to be enjoyed all summer long—spruce up this space with a barbecue and some patio furniture, and your outdoor oasis will be ready for relaxing and hosting backyard get-togethers! 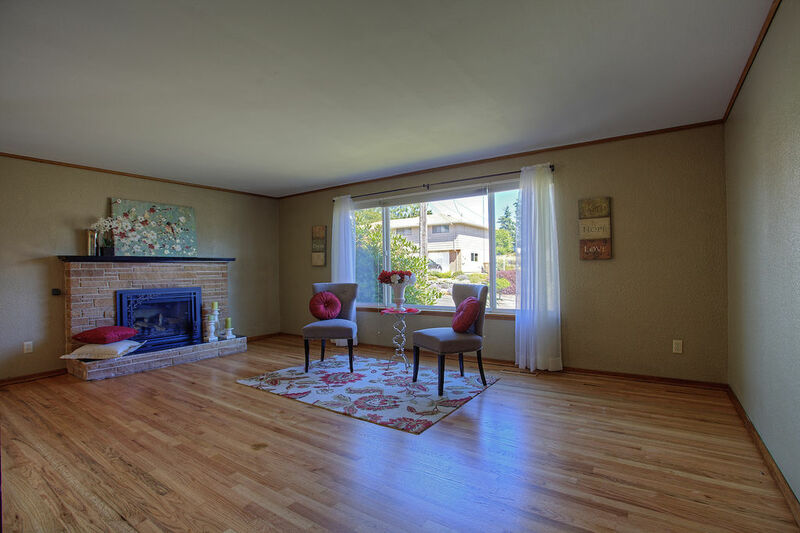 At 5219 N 10th St Tacoma, WA 98406, you’re absolutely surrounded by convenience. Close to the 6th Ave District, the Proctor District, Westgate, and Ruston, you’re in a central location that’s close to schools, parks, shops, services, restaurants, and more. Wilson High School is just down the block, and popular spots like Tacoma Boys and Sonic Drive-In are just minutes away. Enjoy a night out on 6th Ave, or spend a sunny day at nearby Jefferson Park! Commuters will also appreciate this location—you’re a quick 2-minute drive to Highway 16!